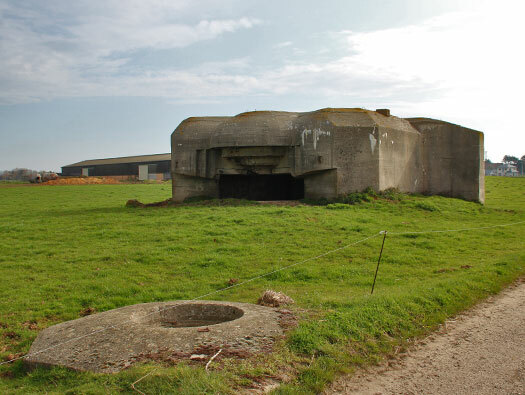 In 1942 field batterie turned up and located its guns in field positions, 6 x 10.5cm K.35(t). 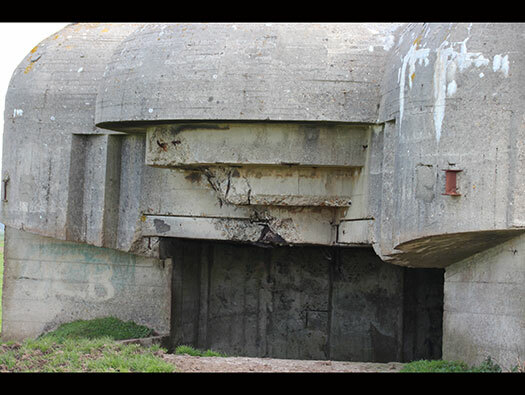 Then four open emplacements (Geschützstellung) were built with underground tunnels to and from the ammunition stores. 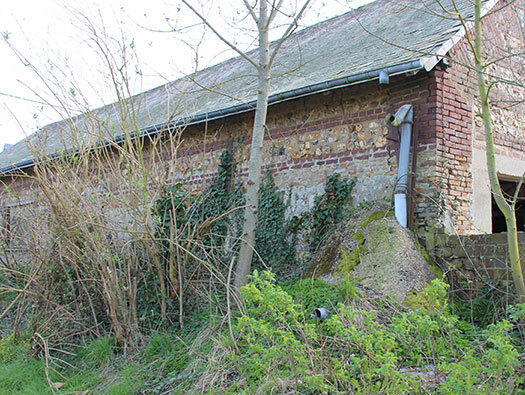 Many bunkers and barracks, an air raid shelter and also a rifle range all built by the Todt Org. 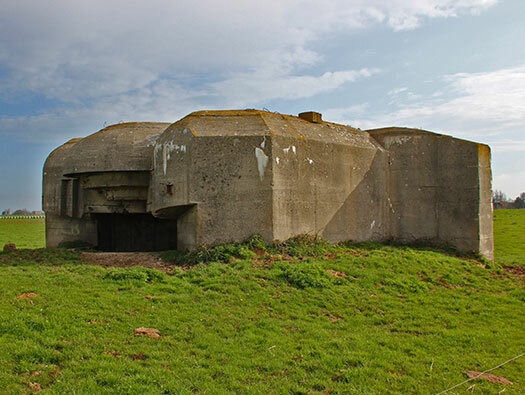 1943 they started to upgrade the batterie with two R621, one R607, Flak and anti tank guns. 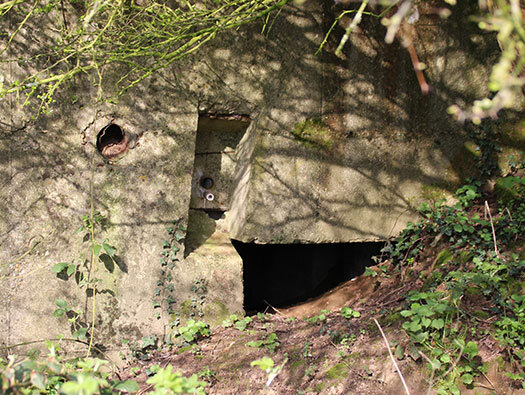 Then four R671 casemates were built, a fire control post was built just behind the gun line. 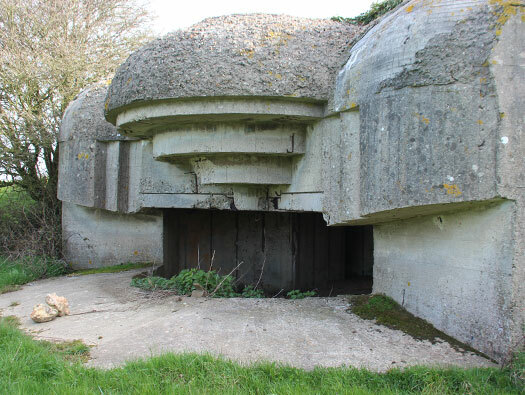 6 x Geschützstelung (open gun emplacements). 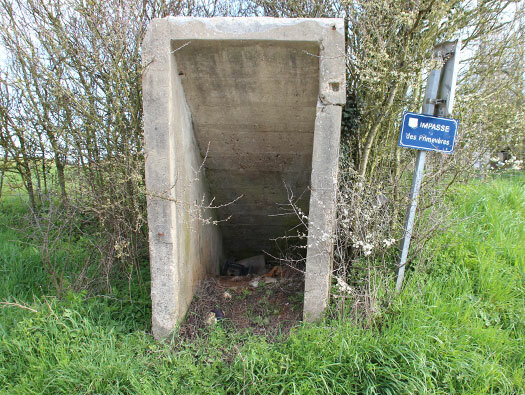 1 x Hochleitstand/SK (fire control post). 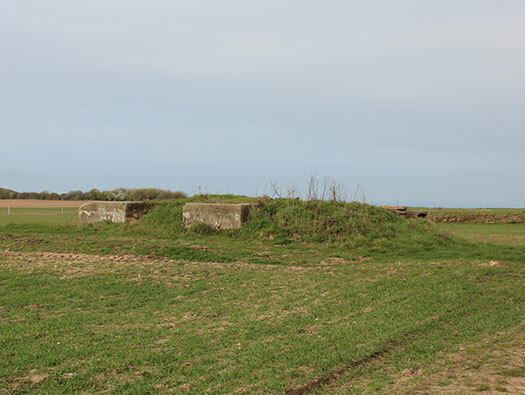 2 x R621 twin group bunkers. 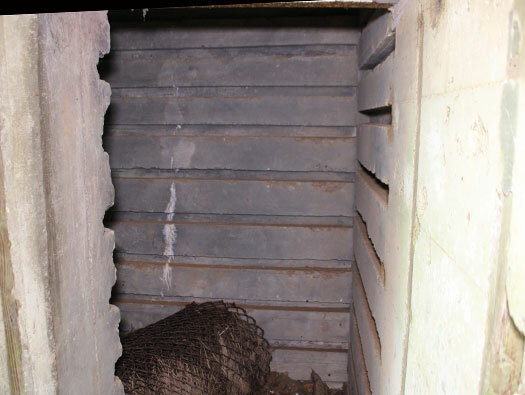 1 x R607 ammunition bunker. 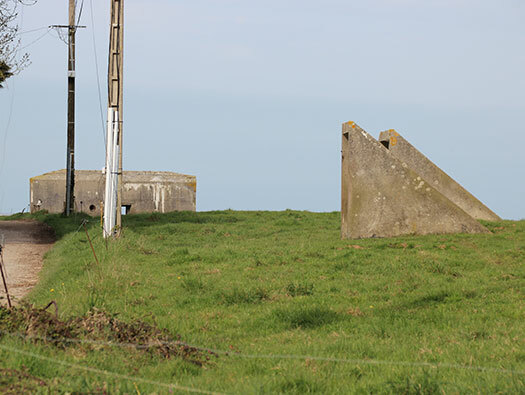 2 x 2cm KwK38 A/T guns. 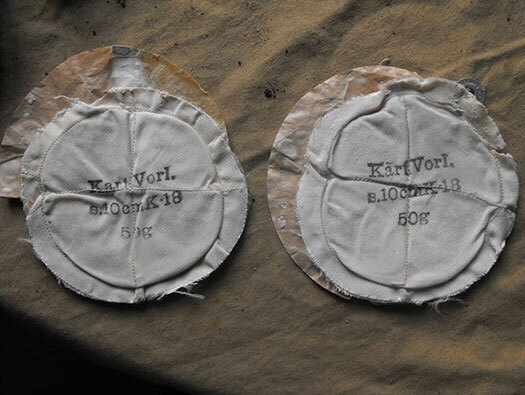 2 x 7.5cm F.K.16 n.Art. 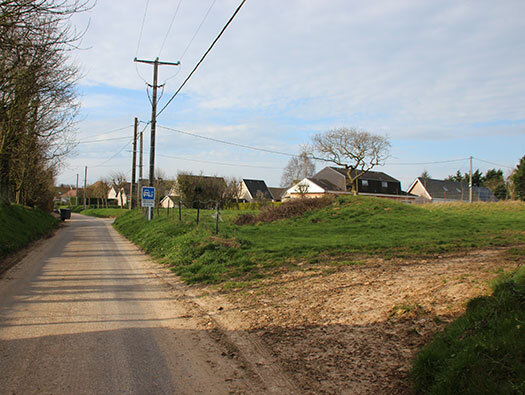 A roundabout on the D942 driving south towards LeHavre. 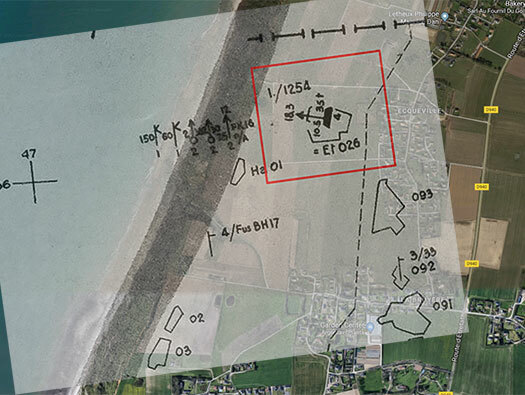 German plan overlaid Google earth. 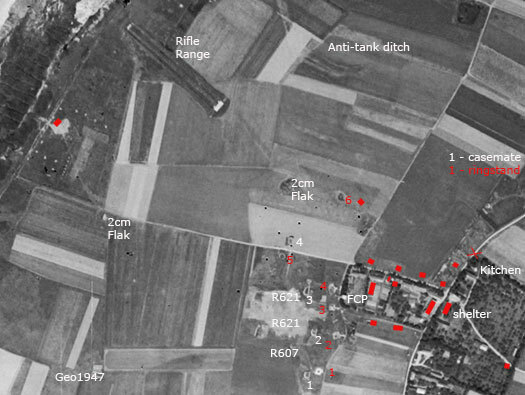 This is a 1947 air photo. 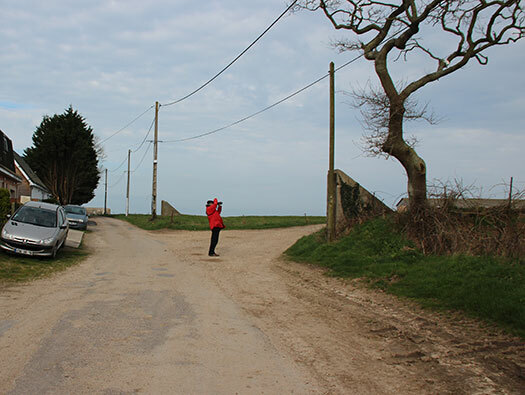 On the left in the bank was a machine gun and in the road a roadblock. 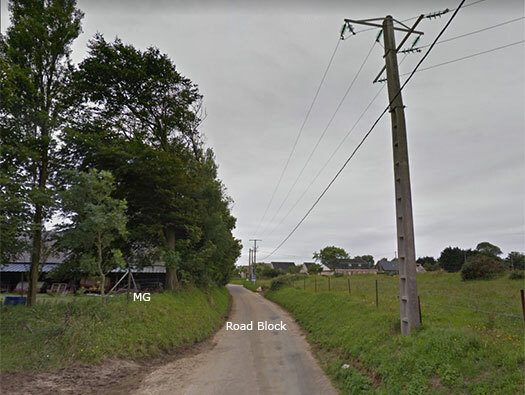 Road block using a Belgian gate to close off the road. 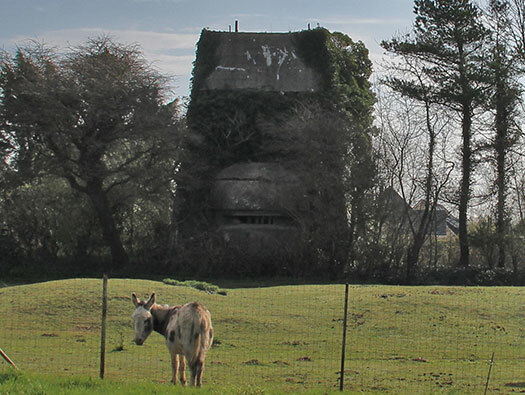 Barn that would have been used as a barracks. 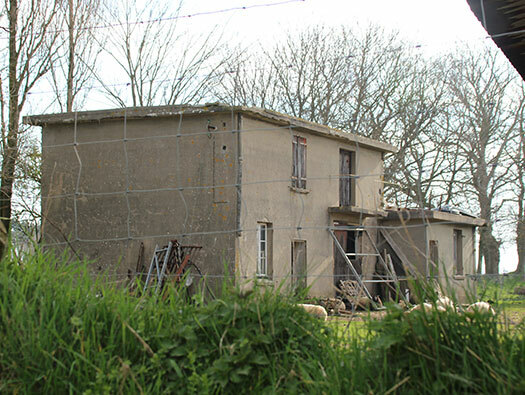 There seems to be some prefabricated concrete added to the outer walls. 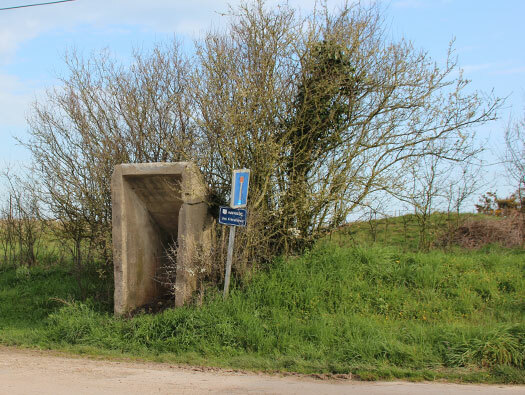 It would be nice to think I have found something of historical importance from the batterie but I expect its just a piece of farm machinery?? 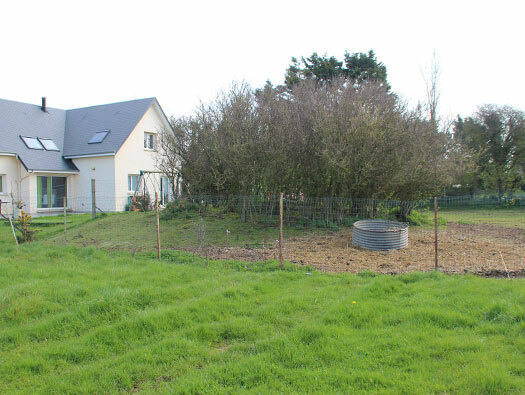 Kitchen and pigsty. 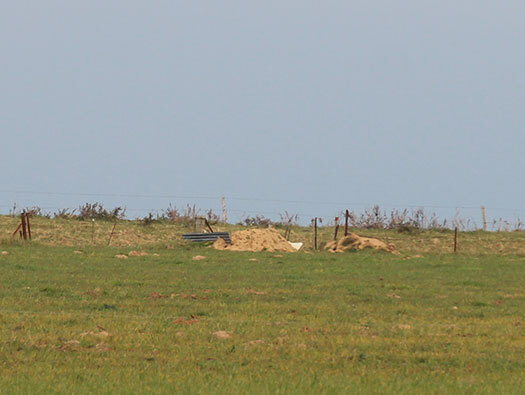 Water reservoir in this field and the fence posts are all German Eisenpfahel barbed wire posts. 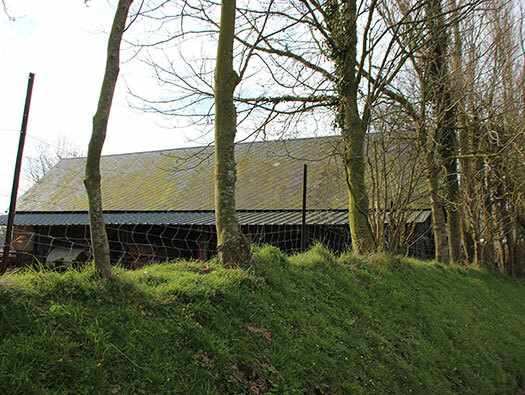 Ferme Dégenétois. 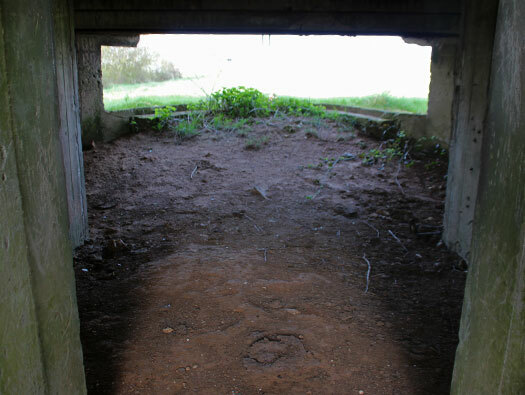 Inside the farm is also a Luftchutz bunkers (air raid shelter). 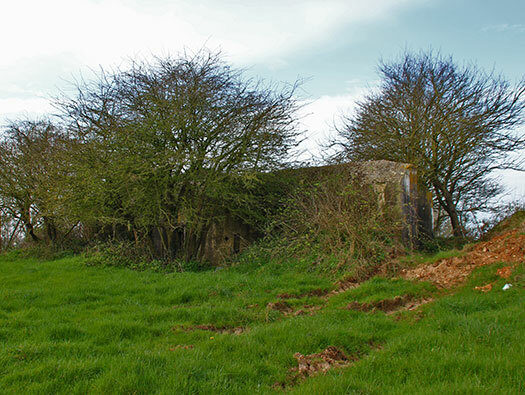 Luftchutz bunker that was inside the farms yard. 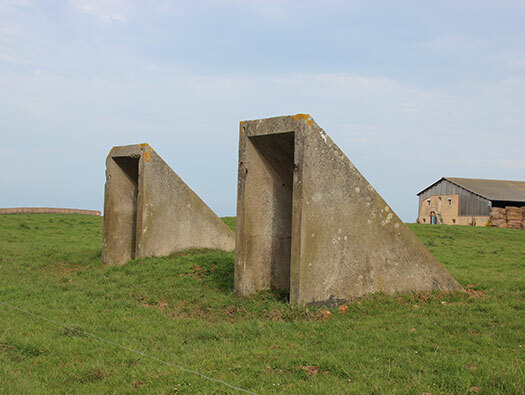 Ferme Dégenétois, may be rifle slits?? 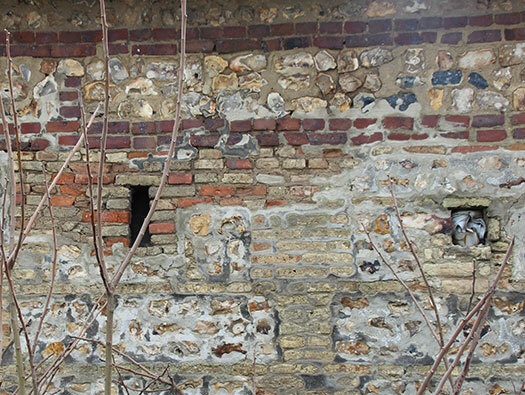 More very roughly poured concrete on the side of this barn. 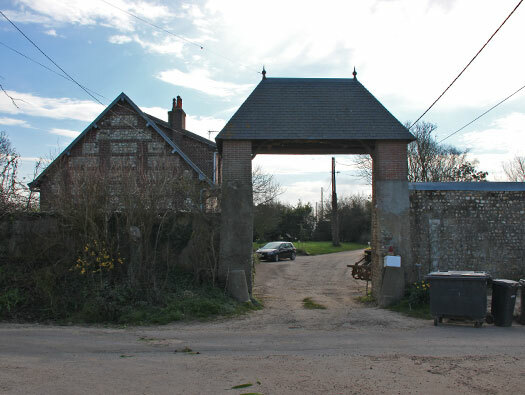 On the right was a stable bunker for four horses ((pour 4 Cheaux). 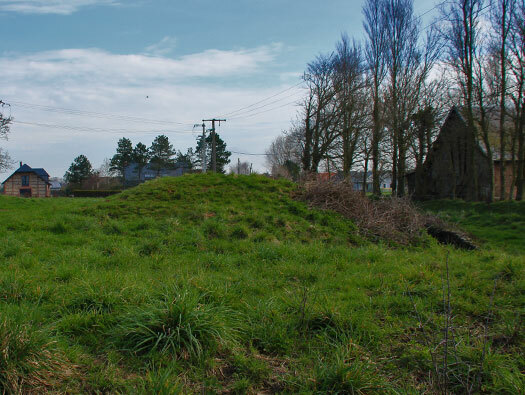 The mound is a one roomed ammunition bunker. 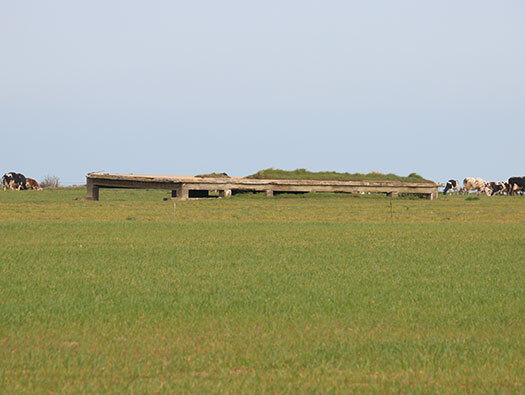 A three horse bunker on the Ile de Ré. 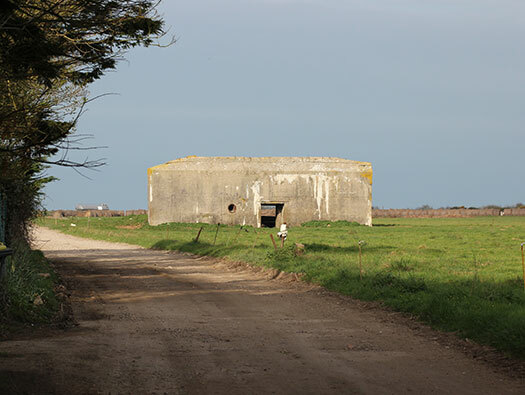 Another one roomed ammunition bunker of which there were four down this road. 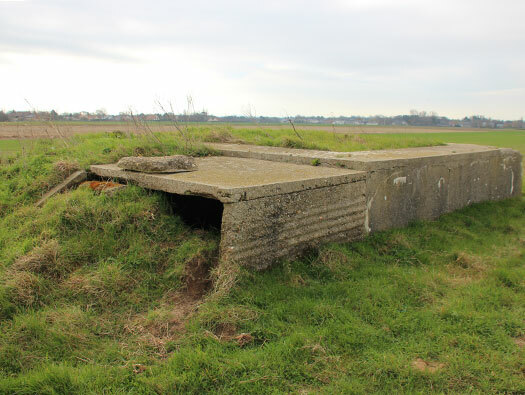 The last of the four single roomed ammunition bunkers. 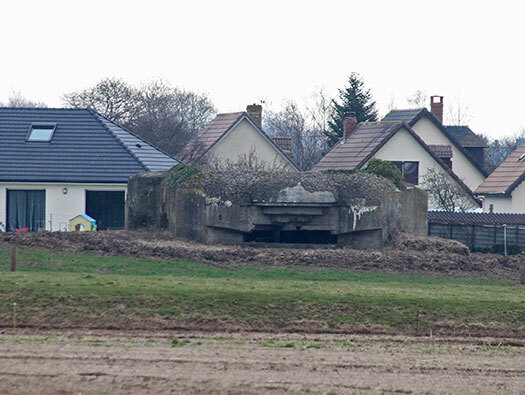 This is how the ammunition bunkers may look. 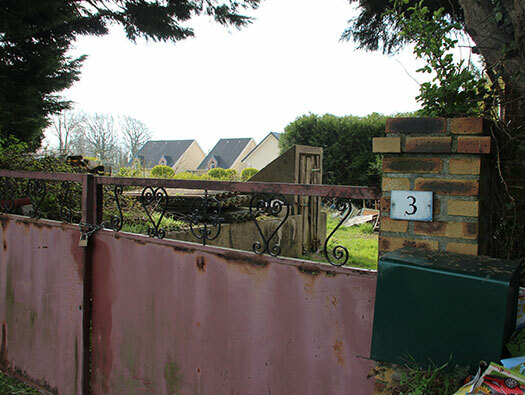 Unknown on plan so it maybe a fifth one roomed ammunition bunker. 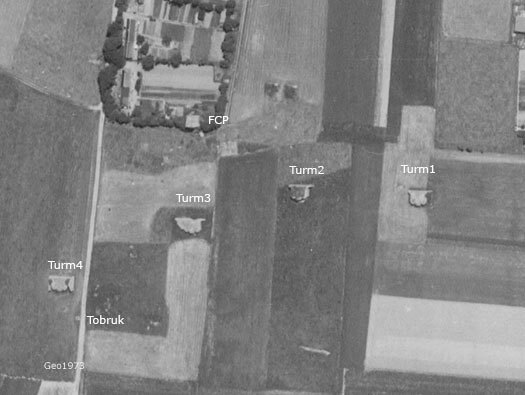 Air photo showing the three R671's and the fourth R671 Turm 3 with an additional room added on. 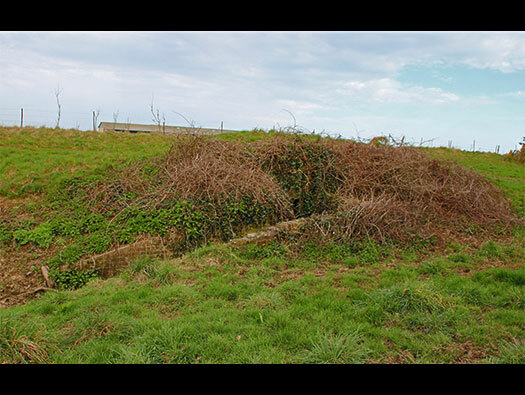 Turm 4 R671 casemate showing the side alls jutting out, earth would have been heaped up to add as camouflage and added protection..
Earth heaped up around the sides. 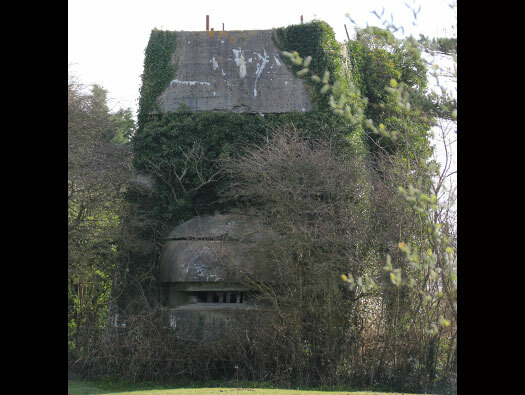 Turm 4 R671 casemate showing the embrasure in the front. RAD & Todt Org workers. 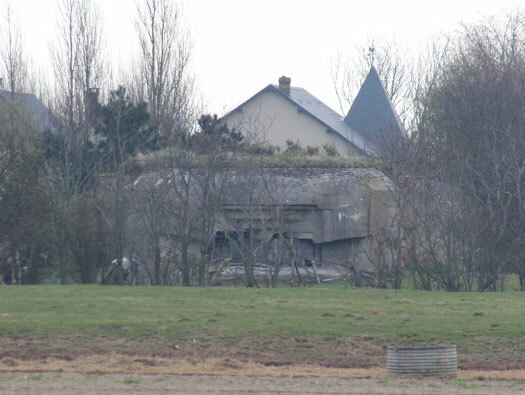 Turm 4 R671 casemate front view. 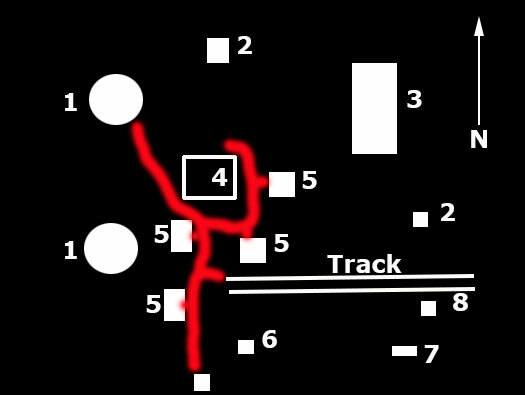 123° rotation of the gun. 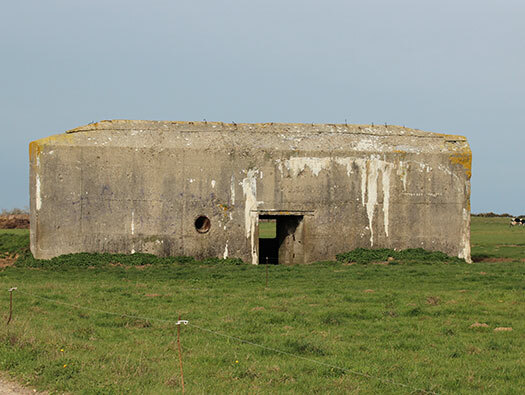 Turm 4 R671 casemate front view. 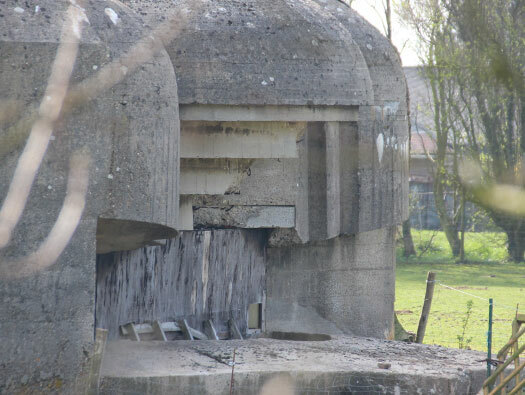 Note the two I beams sticking out, they could hold either camouflage netting or a set of steal (chain mail) to help close off the entrance to stop large shell splinters from entering the casemate. 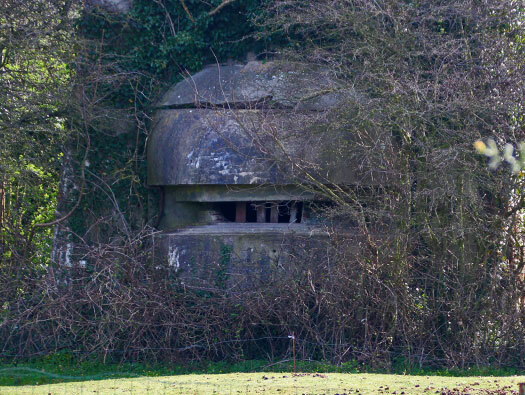 Well from a distance you see a bunker, you get excited, you photograph it with your zoom lens and it looks good on your camera screen. 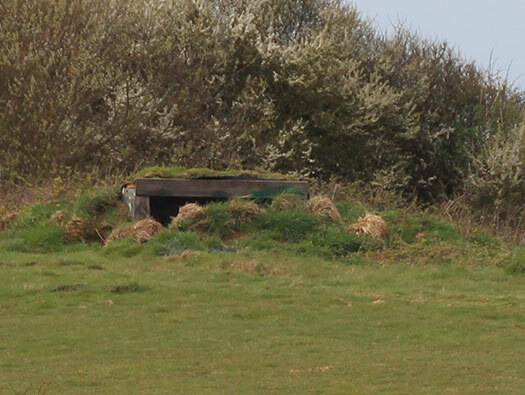 Then you get close and OH boy its a Duck shooters hide. What a let down. 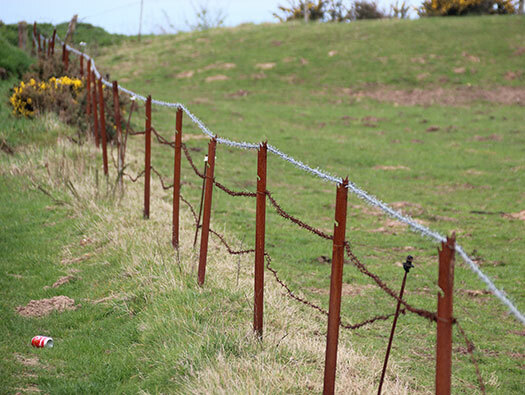 Eisenpfahel German barbed wire fence posts. 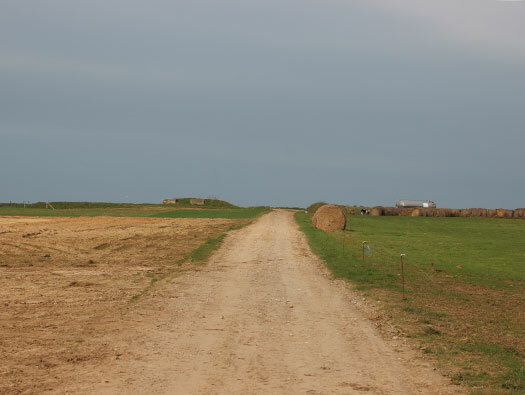 There was a barbed wire fence running right around the site, outside the fence a large mine field with anti-tank and anti-personnel mines. 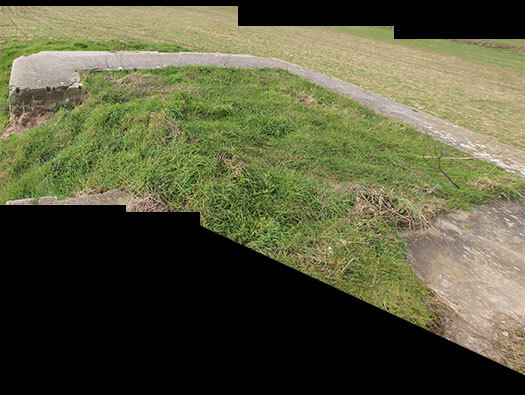 Anti-tank ditch also ran from the cliffs inland. Generator room machinery entrance. 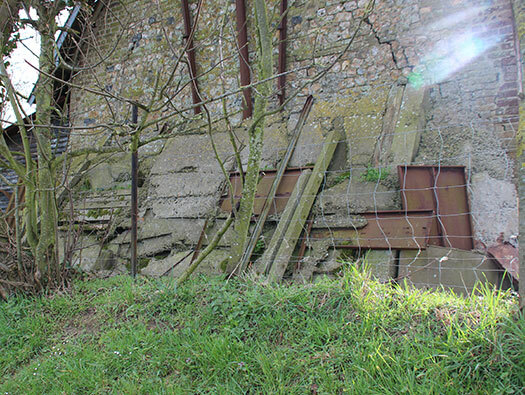 This is where the generator would have been pushed into the room and then closed off. 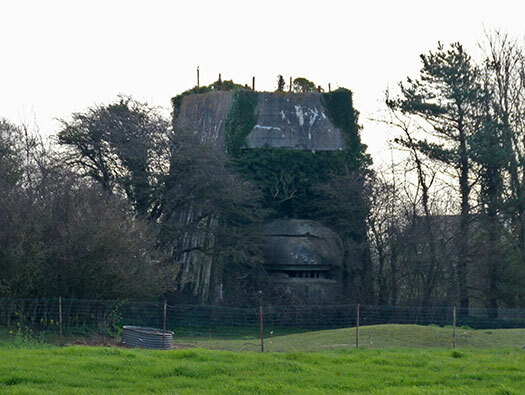 Generator fitted inside a bunker. 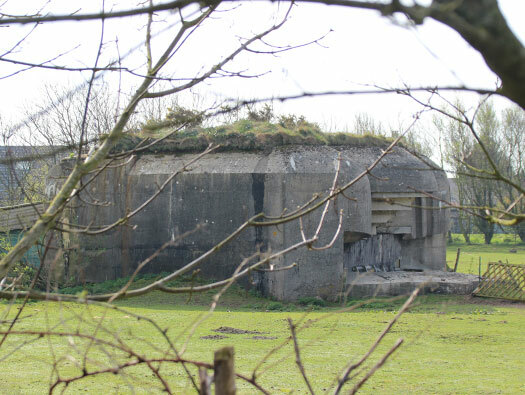 Turm 3 R671 casemate. Door to the actual generator control room. 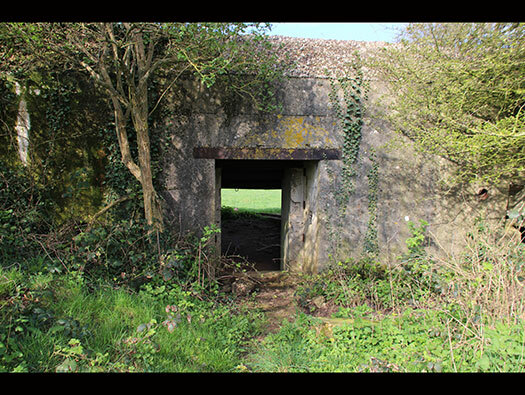 Turm 3 R671 casemate rear entrance. 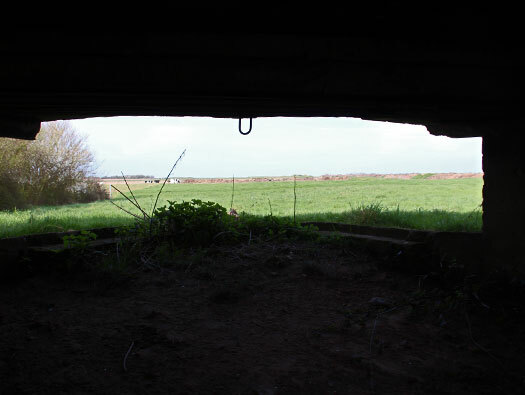 field gun in an emplacement. Gun room the two maximum ranges of the gun. 17500m = 11 miles. 15000m = 9.5miles. 4 x 10.5cm K.35(t). Captured Czech guns. 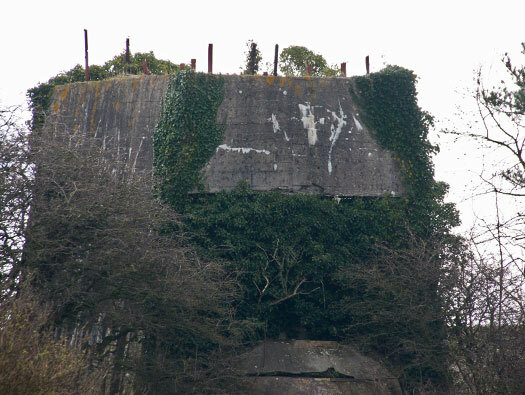 Turm 4 Geschützstelung (open emplacement) possibly the only one left. Hochleitstand/SK (high control centre) fire control post. 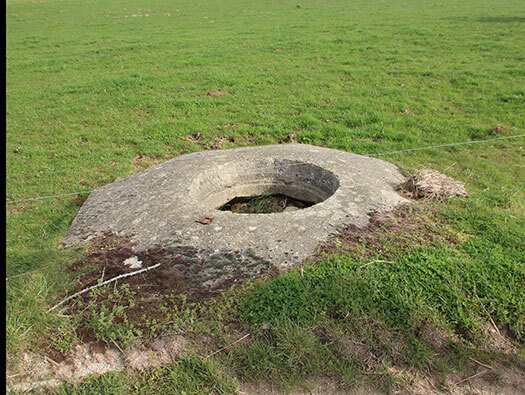 The first post was situated on the cliff edge in a field type position. 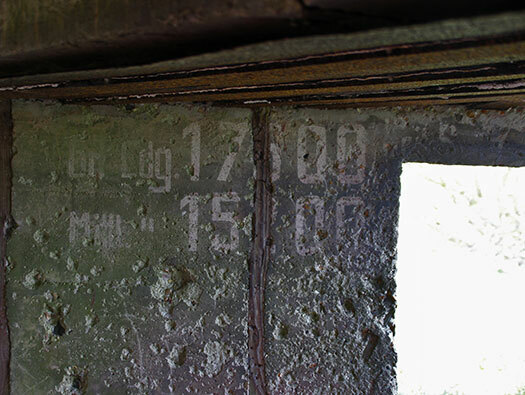 Later this replaced in 1943 by a full Hochleitstand/SK (fire control tower in special construction SK). 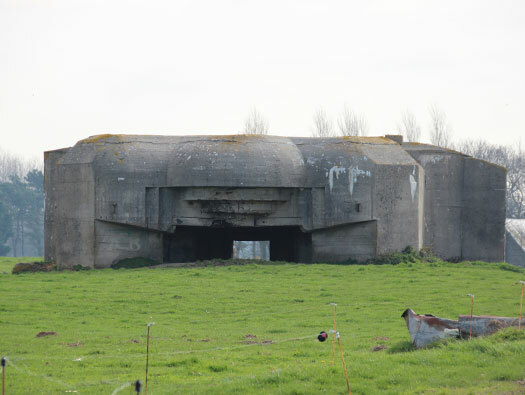 11 meters tall with a roof observation reached by a steel ladder, then two operations rooms with open viewing slits. 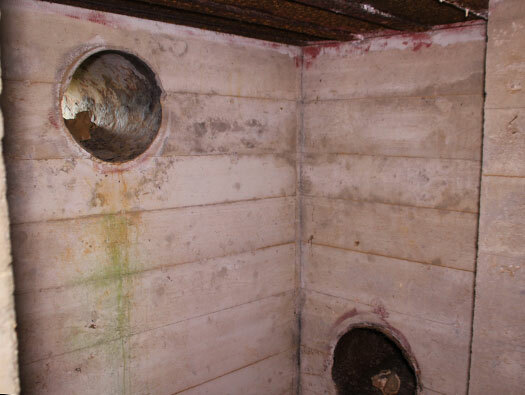 Then down to a basement and tunnel system to two shelters. 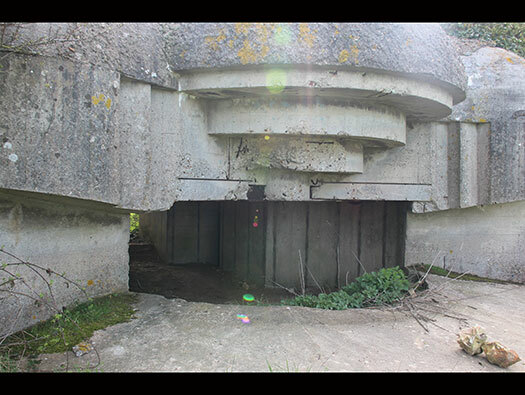 3 - Large infermarie (casualty clearing bunker). 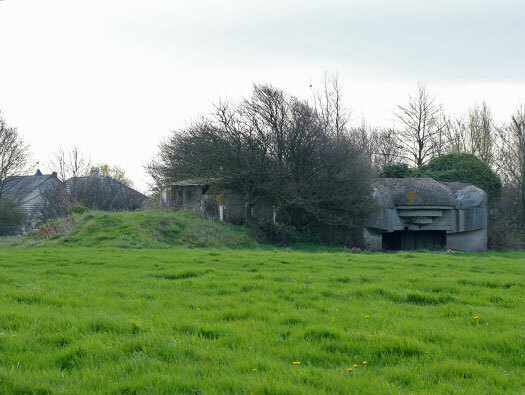 5 - Shelters and batterie offices. Red line - tunnels connecting the different buildings. 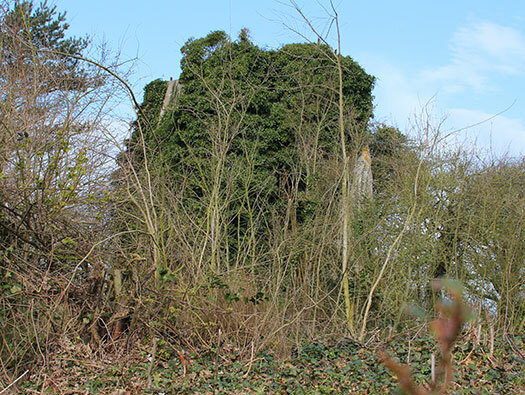 On the open top was a wooden platform to allow for more height. Hochleitstand/SK (high control centre) fire control post. 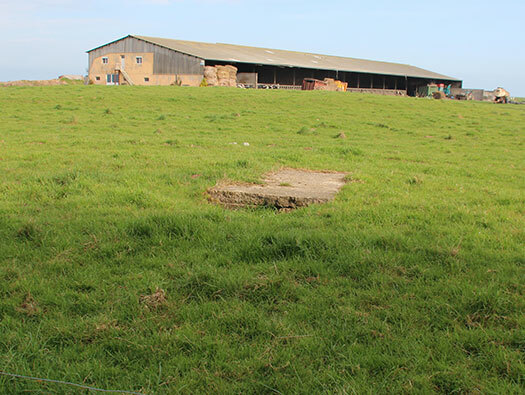 Posts sticking up where possibly another observation space was built in wood?? 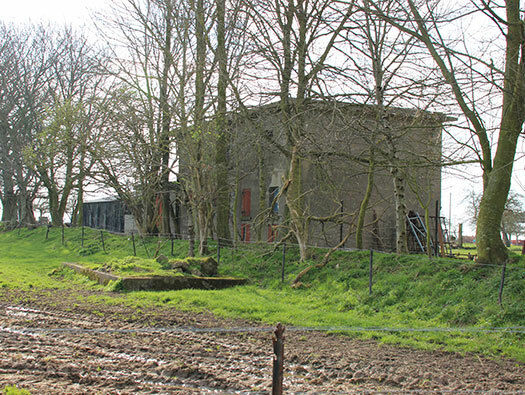 Hochleitstand/SK (high control centre) fire control post. 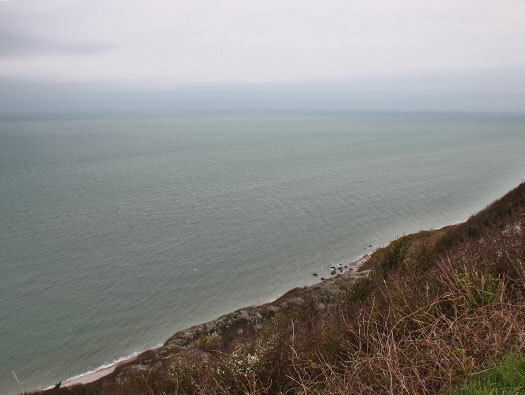 Hard to see the vision slit where batterie officers would have looked out to sea. 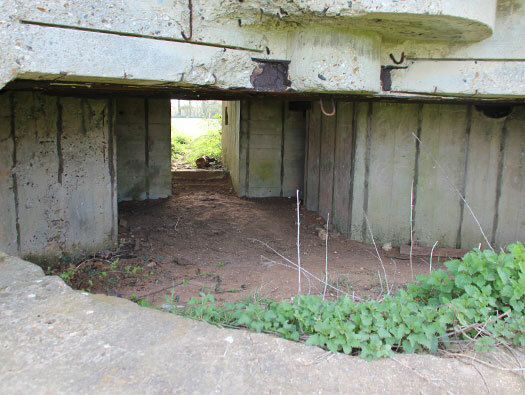 The lower observation slit rather low down. 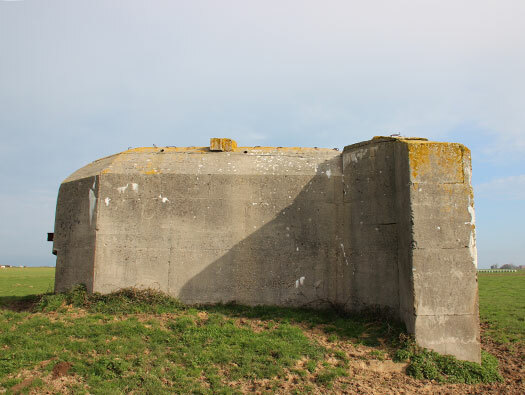 Gun computer to set up the batterie fire plan. 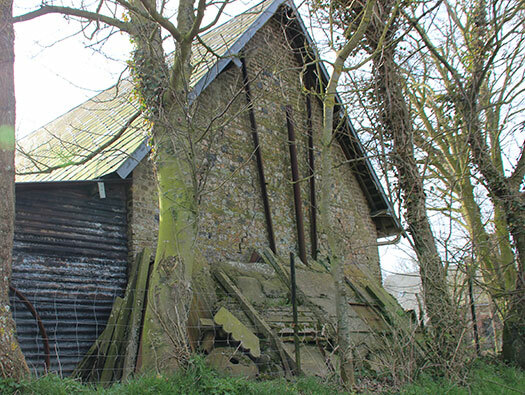 The south side of the post. 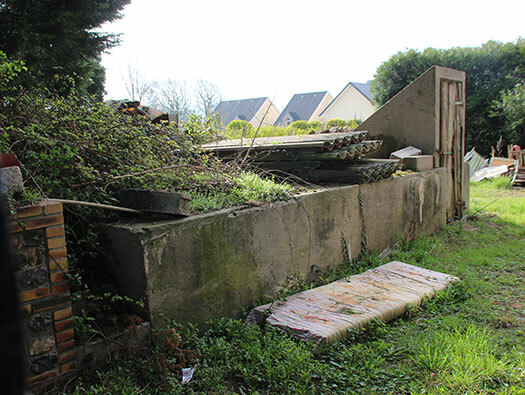 Munitions bunker in a garden. 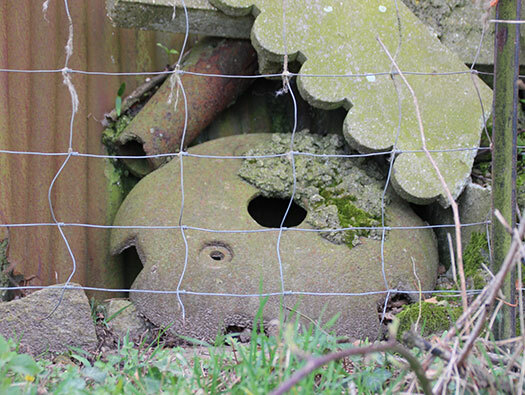 There are many odd bunkers in and around new housing, some have gone but some are well hidden. 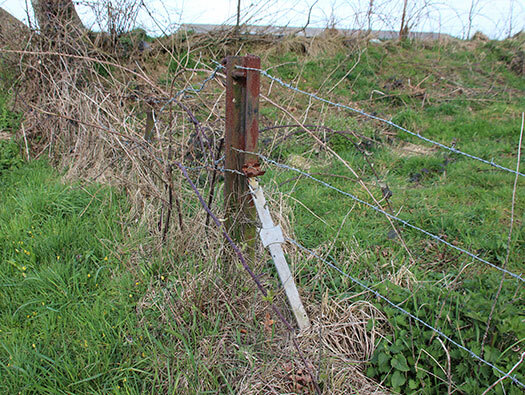 German Eisenpfahel barbed wire fence post today holding up the fence. 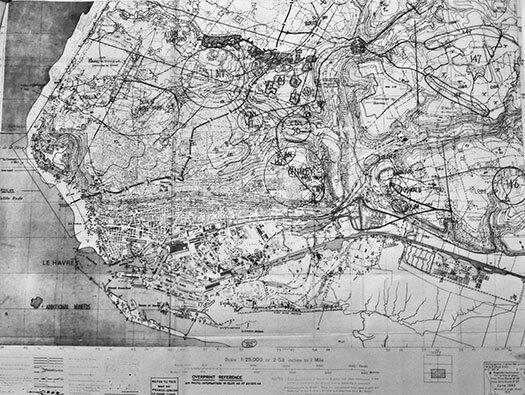 12 September 1944 due to the attack and advance on LeHavre operation 'Astonia' the crews damaged the guns to stop them falling into the hands of the 2nd Seaforth's. 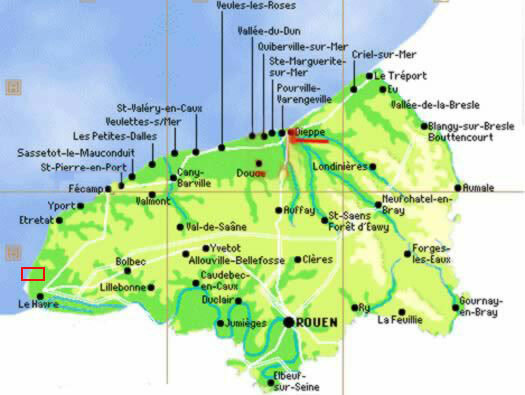 10 September 1944 Operation 'Astonia' the attack on LeHavre. 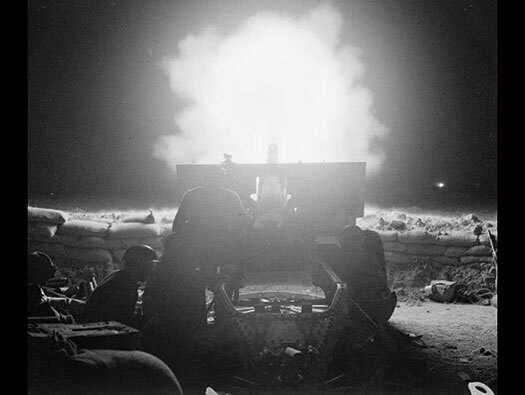 It started with a 1000 bomber raid, then an artillery barrage of 49th, 51st (H) Div. artillery plus two monitors HMS Erebus & HMS Roberts out at sea and 4th and 9th AGRA's. 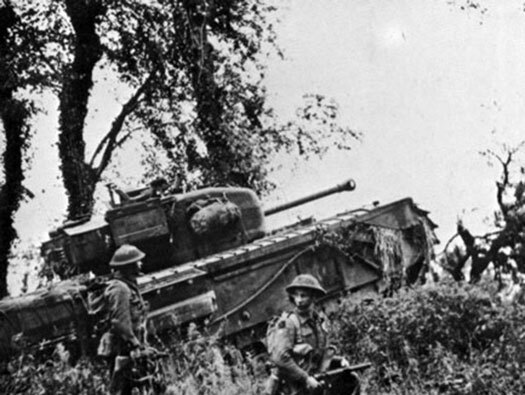 (Army Group Royal Artillery) then the tanks went in, ending on the 12th. 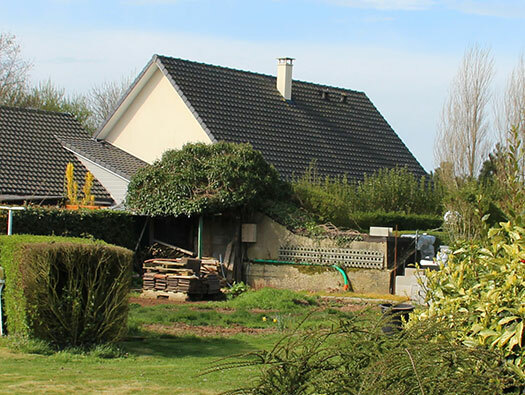 49th iv. The Polar Bears.